Using the right tools to evaluate teachers will help school districts be more effective. The question of how to evaluate teachers seems to draw more controversy than most any other professional occupation. Politicians seem to think they have it figured out but the solutions are not as easy as they would make it seem.You rarely read news paper articles or hear pundits discussing on talk shows how a pilot, accountant, attorney, or physician should be evaluated. It is generally accepted that people in these professions should be evaluated based on the behaviors that lead to or detract from successful performance of their job. In contrast, teachers’ evaluations are becoming a mixed bag of teacher behaviors as well as an increasing number of districts using outcomes of students’ scores as a factors of performance measurement in teacher evaluations. Evaluations must be based on proven criteria that lead to positive student outcomes, not the outcomes (test results) themselves. They must also be linked to broader school district vision and mission statements. Without expected follow up and accountability, vision and mission statements are worthless. When asking how to evaluate teachers, these factors are measurable and within the control of a teacher, student outcomes are affected by far to many factors to be used as a major indicator of teacher performance. Outcomes are influenced by behaviors of individuals, but are not completely dependent upon them. For example, if a person is overweight and they follow a healthy diet and exercise regularly, but loose little weight due to a gland or hormone issue, their behavior (or lack of behavior) didn’t prevent them from reaching their desired outcome. To make the point even more relevant, imagine a personal trainer being evaluated based on the overall weight loss of their clients, but having no control over the clients they receive or the actions the clients take after they leave the gym. Failure to achieve their goal was due to a circumstance they could not influence. Attempting to use student performance on standardized tests to capture a teacher’s performance is flawed in the same way. 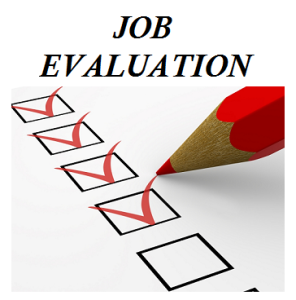 It is unlikely the future of teacher evaluations won’t include some degree of student performance, but when searching for answers on how to evaluate teachers, it should be a very small piece of the evaluation pie. A concept that has existed for many years within performance management is “performance is behavior.” When we talk about the performance of one teacher compared to another we’re really talking about how one teacher’s behaviors, that led to positive outcomes, compare to another teacher. This is perfect because behaviors can be managed through training, motivation, and consequences. So when a school district recognizes the need to improve their performance, look no further than individual behaviors that lead to desired outcomes (and make certain those behaviors are what your teacher evaluations measure). 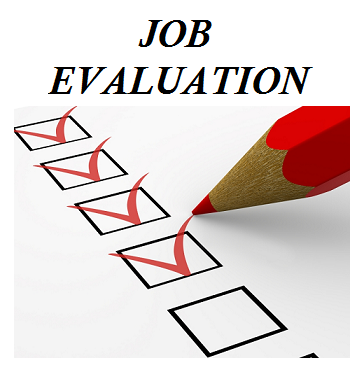 Typical evaluations of teachers are performed 1-3 times a year. In a typical school district an administrative member observes a lesson or two and forms ratings that are supposed to reflect performance for the entire year. If you’re searching for how to evaluate teachers, this is not it and educators know it. Teachers do not expect to be able to review a student’s work one to three times through the course of the entire year to determine if students have mastered the subject material for the year without any other feedback, correction, or motivation. We know these pieces are needed to shape desired outcomes in students, why not in teachers too? Tools used to evaluate teachers should be varied and frequent just as they are with students. Here are a few examples of more effective methods when searching for how to evaluate teachers. Work Diaries for Teachers– A work diary is a log of workers’ behaviors. It is meant to record the tasks teachers engage in that lead to or detract from desired goals. Teacher work diaries aren’t necessarily a log of behaviors recorded in a notebook. Most often this is kept in an electronic format either saved to a file or integrated into some type of performance management software. Administrators should be looking for and recording specific behaviors and tasks that have been identified on a job analysis that are known to lead to desired outcomes, not randomly jotting notes about their own personal theory. Not that their theories are wrong, but if structured and consistent means of measurement are not used throughout a school district, it is impossible to compare and validate performance of teachers. School districts should begin by completing a job analysis on their teachers to capture the essential competencies of effective teaching. Work diaries would then have a template to prompt administrators to only record behaviors proven to lead to positive student outcomes. Artifacts of Effective Teachers– Teachers that are effective most often perform in a pattern and generate artifacts that are evidence of their effective behaviors. Effective teachers write lesson plans that are tied to state and national objectives. Students who increase achievement from year to year are often required by their teachers to set specific learning goals and are held accountable to those goals throughout the year. Teachers who are effective reflect on their lessons to determine what works and what didn’t. All of these examples listed are examples of artifacts that teachers can generate to demonstrate they are engaging in behaviors that are attributed to effective teaching. Again, a job analysis or research on your district’s view of competencies that are associated with effective teaching would be necessary before you randomly require teachers to submit artifacts of their performance. One thing is sure, if the teachers don’t buy into the idea, it is likely to fail. Evaluation Forms- The actual documents used to record teacher performance vary from district to district. Often, broad competencies are mentioned and administrators much check the box they feel most closely reflect the behavior of the teacher. For example, an evaluation form may simply say “Classroom Management” followed by one of three boxes administrators are supposed to check, “below expectations,” “meets expectations,” and “exceeds expectations.” This format, while valuable in that it provides for different levels of performance, is flawed because there are no anchors for interpretation of each of the levels. Evaluation forms for teachers should provide for varied levels of performance and they should be illustrated with specific examples of behaviors to be observed. This method reduces variance in judgments and ensures more consistent ratings. A popular evaluation tool known as BARS (Behavior Anchored Rating Scale) is one of the best evaluation tools that a school district can use. We can help your school district develop this tool if you are looking for more answers on how to evaluate teachers. Goal Setting– Just as effective teachers require students to set personal learning goals, effective school districts should require teachers to set performance goals that are aligned with behaviors associated with effective teachers and the districts vision and mission statement. These goals should be based on the SMART (specific, measurable, attainable, realistic, and timely) format. Collection of artifacts and work diary examples should track progress and provide for positive communication between teachers and administrators in pursuit of educator goals. Who Should Observe and Rate Teachers? The ultimate goal of evaluations and performance management is performance improvement, i.e. more effective teachers, better educated students, and a high functioning school district. 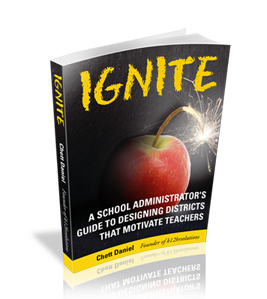 More attention must be paid to behaviors that are indicative of effective teaching and tools that can be used to motivate teachers and students to achieve desired outcomes. School districts can create these human resource tools themselves, but they must understand perceptions of fairness are at stake. If developed correctly, performance management tools/ evaluation tools for teachers will put a school district on the fast track to improved performance. If developed incorrectly and methods used to evaluate teachers are perceived as unfair, school districts will spend years rebuilding trust and repairing relationships. All the while, students will suffer as administrators and teachers work out their differences. Answering the question of how to evaluate teachers does not provide for easy solutions, but when done correctly it can result in greatly improved performance.